A stylish titanium polished court ring. Modern, fashionable and perfect for celebrating your love for each other forever. 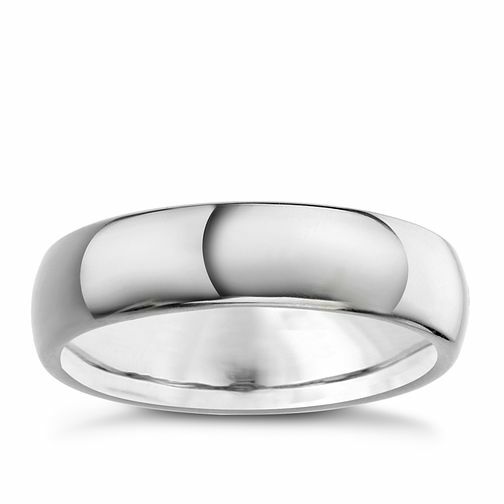 Men's Titanium 6mm Polished Court Ring is rated 5.0 out of 5 by 3. Rated 5 out of 5 by Anonymous from Beautiful 18th gift Great gift for 18th birthday. Stylish and beautiful a lovely piece of jewellery. Rated 5 out of 5 by Anonymous from Promise ring Got this ring for my partner and I can honestly say I’m so happy with it when I went to pick it up it looks like the picture on the website. I was so scared that it wouldn’t fit but it’s true to size as I couldn’t get him to try it on as he wasn’t allowed to know I was buying it.